A coalition of US NGOs is demanding that Kraft, and other processed cheese producers, find and remove the sources of phthalates in their products – an action at least one manufacturer may be ready to take. The demand follows a study that found the chemicals in 29 of 30 tested cheese products, which included ten varieties of packaged macaroni and cheese, as well as sliced processed cheese and packaged natural cheeses. Bis(2-ethylhexyl) phthalate, or DEHP, was found in all but one of the products. The study said the substance was discovered at a much higher level than others and "accounted for nearly 60% of all phthalates found in the cheese product items that were tested". Diethyl phthalate, or DEP, was found in 27 of them. The average phthalate concentration in powder from macaroni and cheese mixes was more than four times higher than in natural cheeses, and those in sliced processed cheese were three times higher. Following release of the study, the NGOs backing it launched a "Klean Up Kraft" public campaign, and have called on the company to "adopt an action plan to eliminate all sources of phthalates in your food products as soon as practicable". In a statement, Kraft said that the "trace amounts" of phthalates found in the study "are more than 1,000 times lower than levels that scientific authorities have identified as acceptable". Mike Belliveau, executive director of the Environmental Health Strategy Center - one of four advocacy groups that funded the report - said the publicity focused on Kraft because they are the "market leader". But he said that their message is one to the entire industry, and they are in dialogue with other companies. "One industry leader has pledged to work in partnership with us to eliminate phthalates in their products," he added, although he declined to name them. Phthalates are not intentionally added to food, but are classified as "indirect" food additives. They can be used as plasticisers, binders and coating agents in packaging materials and in food processing equipment. Because they bind with fats, they tend to build up in fatty foods like cheese. The current study wasn't designed to determine how phthalates got into the cheese products, Mr. Belliveau said, but "we know where they are coming from and how to eliminate them." He said research has suggested that in the dairy industry, it is migrating into the food at "every point along the supply chain, from plastic tubing in milking equipment" to wrappers and even printed labels. Proponents of restricting phthalates argue that they have been linked to reproductive and developmental problems, and some have been banned or regulated to varying degrees around the world. Ten NGOs filed a petition a year ago, asking the Food and Drug Administration to revoke authorisation for the use of 30 ortho-phthalates in food contact materials. Industry strongly opposed it. An FDA spokeswoman said it would not comment specifically on the cheese study or the status of the petition. The agency must believe there is "sufficient scientific information to demonstrate that the use of a substance in food contact materials is safe under the intended conditions of use, before it is authorised for those uses," she said in email, and "the FDA continues to monitor literature and research on these compounds as it becomes available." The EU restricts phthalates to very low levels in food contact materials. DIBP, BBP, DEHP and DBP are listed as substances of very high concern (SVHCs) under REACH because of their reproductive effects. A petition on DINP is under consideration; the chemical is already restricted under REACH in articles that children may put in their mouths. 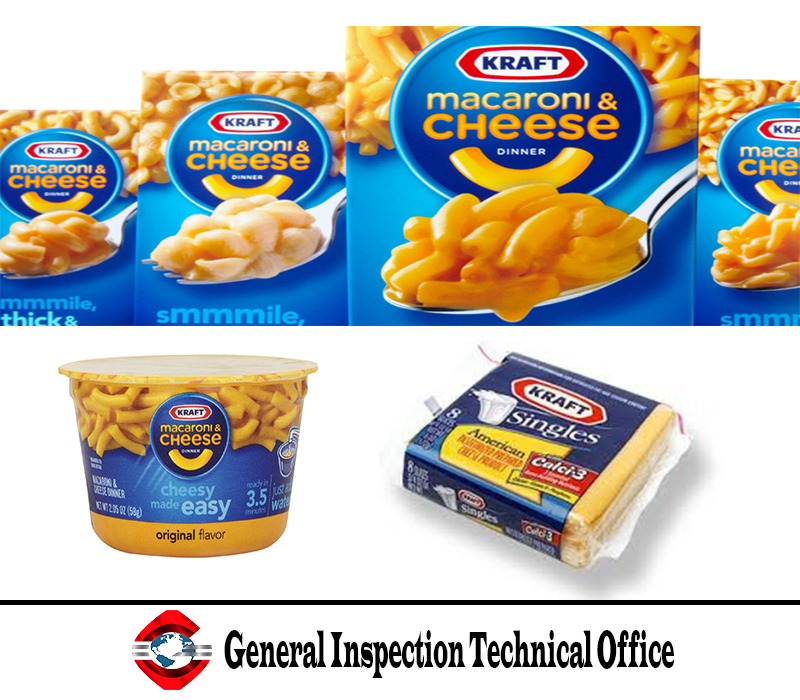 Kraft did not respond to an inquiry on whether they use different packaging in the EU.